Clouds and their impermanent structure and transient quality have long been a powerful representation of nature’s grandeur and unpredictability. As an oil painter, I view painting as an act that holds an emotional charge. The physicality of manipulating a material to portray such insubstantial objects is something that I find both fascinating and therapeutic. 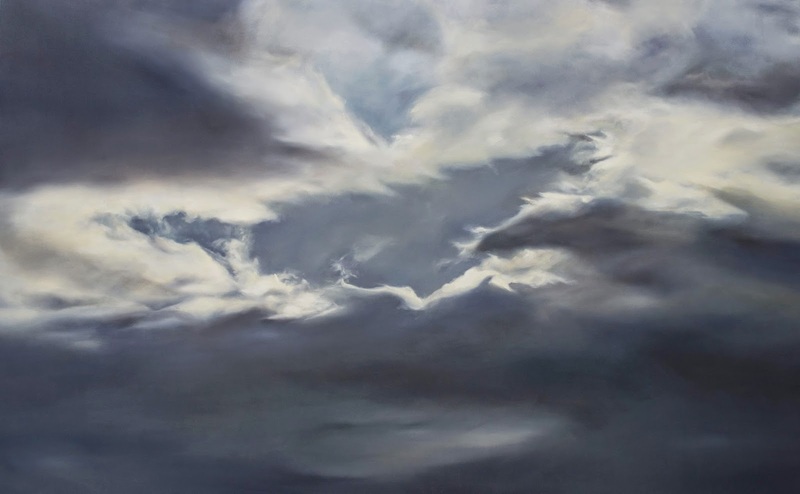 Inspired by the environment and my close connection to the Scottish landscape, my work is derived from the relationship between the ephemeral qualities of clouds and land, and the ever-changing notion of the self. I explore compositions made from chance creating an almost abstract image. Capturing the essence of Scottish skies, my paintings allow for a suspension in time. They reflect the absence of the hustle and bustle and hint at something of an in-between state. Through creating powerful images I am interested in the idea of taking a temporary object and converting it into a lasting experience of a fleeting moment.